One of the fastest growing industries in the nation is the Airbnb (Air Bed and Breakfast) business. In the Real Estate Mortgage Shoppe studio Airbnb expert, Sam Goff will be sharing his experience and some knowledge about how to make money using your real estate for Airbnb and doing it the right way. I will be sharing some stories about people I know have found ways to make their homes produce an income for you. Let’s stay connected! Subscribe at www.JoGarner.com to get Real Estate Mortgage Shoppe podcasts with show notes weekly into your inbox. What do YOU want to accomplish with YOUR mortgage? Good morning, Memphis! Welcome to our internet listeners and podcast listeners across the 50 states! You’re on Real Estate Mortgage Shoppe. 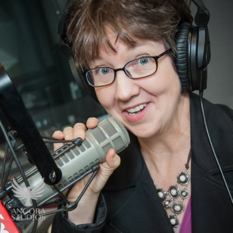 I’m your host, Jo Garner, Mortgage Loan Officer. You can connect with me at www.JoGarner.com. Our general topic is “Using Your Real Estate As An Airbnb—How To Make Money Doing It Right.” Subscribe to get our weekly blogposts with podcasts at www.JoGarner.com. Call us while we are live at (901) 535-9732 Today is March 30th, 2019. Sitting in the co-host chair today we have our Airbnb expert Sam Goff, realtor with Sowell and Company. Sam, you used to be a mortgage loan officer and now you are serving your clients as a realtor. I have been hearing from some realtors the success you are enjoying with your own Airbnb investments. Sam, tell our new listeners a little bit about yourself and what you do for your clients. 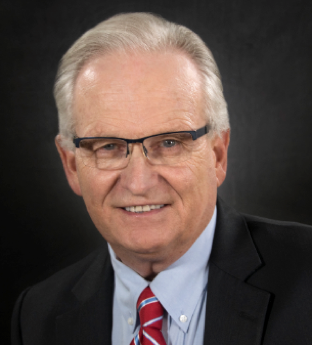 (Sam talks about his past career as a mortgage loan officer and current career as a realtor in the Memphis area. He talks a little bit about his experience using his real estate for an Airbnb (Air Bed and Breakfast). (Jo) Back in the old days the land you owned yielded an income for you. It was called farming. In the city many business owners lived in apartment-like housing on the 2nd floor of their businesses. Single women and widows back then made a living renting out the rooms in their homes to boarders who paid weekly to room there. Everyone had at least one meal a day and shared the house radio or old television set. Today, there are just as many ways to make your home make YOU an income. As a mortgage loan office, I have learned a lot from my mortgage clients and friends. Here are just a few ideas that I have seen work for me and others. 1. Buy a duplex, a tri-plex or 4-plex. Live in one unit and rent out the rest. I have seen how people can live for free because the other tenant or tenants are paying enough rent to more than cover the house note for the owner. The financing can be easier than you think. Let’s talk. 2. Buy a home with a semi-separate mother-in-law wing for elderly parents or other family members to live comfortably. Having care-givers come in periodically to care for your loved one there could still be much less than having to foot the bill for rent on assisted living. Get a tiny house installed on your property. One of my family members was diagnosed with an illness that required a constant care-giver. Instead of paying rent for a room in a full-care facility, my sister found a used tiny house for sale on the side of the road on one of her road trips. We paid cash for it, had it hauled to a close family member’s home and hooked to septic and utilities. We fixed it up and our cherished family member gets to live in her own little house. She eats when she wants to, gets fresh air anytime on her front or back porch. She can listen to music, watch TV or nap anytime she wants. Family, friends and professional care-givers keep her healthy and safe 24-7. It is a little bit of heaven at a down-to-earth cost. 3. You and your college-bound child can buy a home in the chosen college town. Your son or daughter can live there and rent out the other rooms to college friends. The rent from the others can pay all of your son or daughter’s costs plus leave enough to cover other costs. At graduation, you can resell the home for a profit. 4. Convert a bedroom in your home to an office where you can work from home instead of commuting every day. Build a workshop and build a thriving business from it. 5. Convert all or part of your home to an Airbnb location. Have you been thinking of how to get create more ongoing income? Let’s talk about YOUR plan. MAKE YOUR PLAN. LET’S WORK YOUR PLAN. IF THE DEAL WORKS FOR YOU TODAY, LET’S DO IT TODAY. Connect with me at www.JoGarner.com. Email me at Jo@JoGarner.com or just call me at (901) 482-0354. (Jo) Sam Goff, you have quite a successful personal story. How did you get into Airbnb? What can you tell us about how to make money at it by doing it right? You’re on Real Estate Mortgage Shoppe. I’m your host, Jo Garner, Mortgage Loan Officer. What do YOU want to accomplish with your mortgage? Make your plan. Let’s work your plan if the deal works for you today, let’s do it today. When we come back Sam Goff, realtor and Airbnb expert will be sharing some more good ideas and info on how to make money using Airbnb with your real estate. 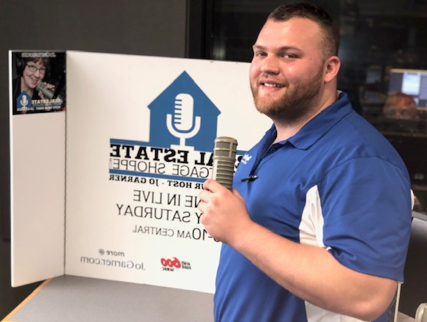 2nd segment after 9:15 advertising break – (producer to start the song “Taking Care of Business” by Bachman Turner Overdrive –but bring the volume down before the lyrics start) It’s time to talk shop with Talk Shoppe’s Business Tip For Real Estate Professionals. Talk Shoppe is a marketing company offering free education and networking to anyone interested in real estate or in business. Talk Shoppe is made possible by the financial support of its sponsors and advertisers. For more about Talk Shoppe, go to www.TalkShoppe.com (shoppe) For our Talk Shoppe Business Tip today we have Talk Shoppe advertiser Adrian Keeley, operations manager of Tiger Paws Carpet & Upholstery Cleaning. Adrian I love seeing you come through my door and I love seeing you leave. Because when you leave, my carpets look new, they smell clean and I am ready to invite company over. You have helped so many friends of mine and many of our radio listeners too. Adrian Keeley of Tiger Paws Carpet Cleaning, what is our Talk Shoppe Business Tip for Real Estate Professionals today? Adrian shares his Talk Shoppe Business Tip For Real Estate Pros. 1. 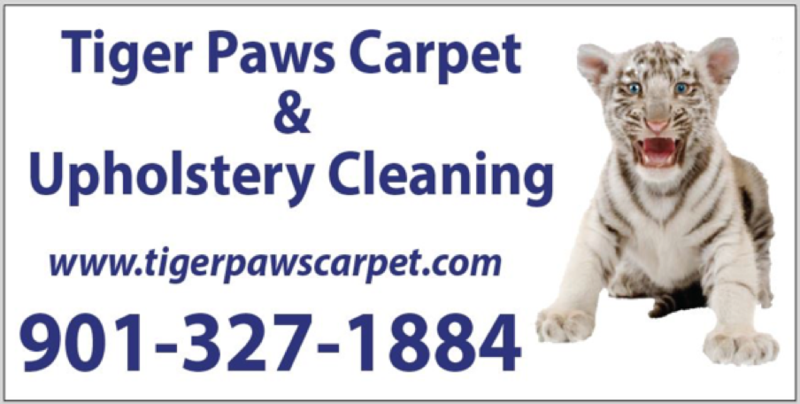 What are some of the services you offer at Tiger Paws Carpet and Upholstery Cleaning? 4. What do customers expect from an Airbnb stay? 5. What kind of profit should you expect? 7. What are some legal guidelines and zoning guidelines? 8. What advice do you have for someone financing an Airbnb? 10. Talk about your history on-air and in the mortgage business, transitioning to realtor and Airbnb expert. 11. What makes a good airbnb? D. How do you pick a realtor? E. Whats going on in the market. 1. What are some methods people successfully use their real estate to bring in an income. B. Buy a home with a semi-separate mother-in-law wing to provide a happy and safe place for an aging or handicapped loved one to live without having to pay costs of a high-priced full care facility. D. You and your college-bound son or daughter consider buying a home in the chosen college town and use the extra rooms to rent to other college friends. Seek some professional advice from a realtor or property manager who can advise on the language in the lease etc. The income from the rent from the others might pay for the entire house payment plus some extra income to cover other expenses. After graduation, sell the house at a profit. F. Mr. and Ms. Smith knew they wanted their son to be able to college at their alma mater out of state. The tuition with the living expenses were going to strain their budget, and how much were they going to have to sacrifice to get their son to graduation? Not much all, as a matter of fact. The Smiths decided to step outside the box and BUY a home close to the university where their son could live. Their son went on the loan with them as the owner occupant, so the deal didn’t cost much cash out of pocket, and their son rented two of the rooms to other students which more than paid the mortgage payment Very clever for the Smiths! They made money each month and built equity and their son built his credit at the same time too. Who do you know that could use this smart strategy for their college student? Let’s talk! G. Convert a room in your home into your office so you can work from home and save money by not having to commute or pay other overhead related to your business. H. Build a work shop and begin making money making and fixing things using your skill or craft. I. Buy rental income property that brings you a positive income each month. J. Convert all or part of your home into an Airbnb. Talk Shoppe offers free networking & education to anyone interested in real estate or in business. Talk Shoppe meets every Wednesday 9A-10A CT at Pinot’s Palette 8225 Dexter Rd Cordova, TN. This Wednesday April 3rd, 2019 Talk Shoppe presents: “The first few seconds to save you home in an emergency.” Brett Carter of ServiceMaster Cornerstone. 4. Subscribe at www.JoGarner.com and you can get our weekly blog posts with podcasts conveniently in your inbox. 5. Real Estate Mortgage Shoppe reminds you to MAKE YOUR PLAN. LET’S WORK YOUR PLAN. IF THE DEAL WORKS FOR YOU TODAY, DO IT TODAY. 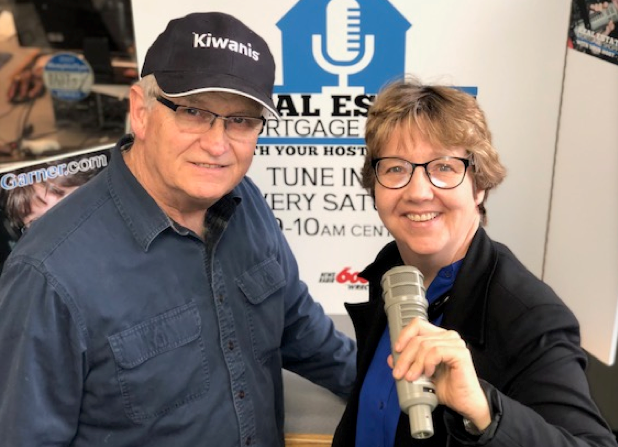 SPECIAL NOTE: REAL ESTATE MORTGAGE SHOPPE RECOMMENDS THAT YOU CONSULT WITH A FINANCIAL, LEGAL OR OTHER CERTIFIED, LICENSED PROFESSIONAL BEFORE ACTING OR INVESTING ON ANYTHING YOU HEAR OR SEE FROM THE CONTENT ON THIS SHOW OR BLOG POSTS. THE INFORMATION WE SHARE ON REAL ESTATE MORTGAGE SHOPPE IS GENERAL IN NATURE MEANT FOR GENERAL EDUCATIONAL PURPOSES ONLY. ALL EXAMPLES GIVEN FOR ILLUSTRATION PURPOSES ON REAL ESTATE MORTGAGE SHOPPE USE FICTIONAL CHARACTERS AND DO NOT REFLECT REAL PEOPLE OR ACTUAL DETAILS IN ANY OF THE SITUATIONS. Committed to building Tiger Paws Carpet and Upholstery Cleaning by wowing one customer at a time. Prompt, skilled and friendly in getting your carpet and/or upholstery cleaned the way you want it. Hi my name is Adrian Keeley. I am 23 years old and a recent college graduate from Southwestern College. I majored in History but am currently the Operations Manager here at Tiger Paws. I oversee jobs, make sure our clients are well taken care of, sales, networking, as well as a whole list of other duties. My hobbies are working on my 1980 Ford F100 Custom with my grandfather. Also, investing time in helping the younger generations into future leaders. Sam, a Navy veteran, moved to Memphis in 1985 to work for the Belz at the Airport Hilton. Sam has worked not only in the Hotel industry, but also radio advertising, casinos, mortgage lending, and now as a real estate agent. Sam has also spent many hours working in community service. Jaycees, Kiwanis, Exchange Club, American Cancer Society, Midtown Memphis Development Corp, neighborhood associations, and many more organizations have benefitted from Sam’s dedication to our community. He is also a graduate of Leadership Memphis. For fun, Sam is a 2nd degree black belt in TaeKwonDo. WHAT DO YOU WANT TO ACCOMPLISH WITH YOUR MORTGAGE? As a mortgage loan officer, my job is to help you get to the benefits you want from your financing terms. What is most important to you? I can help you find the financing terms that will help you get to what you want. What is your comfort level on a house payment? How much are you comfortable paying down,? What type of financing do you need to get the house you want to buy or refinance? Jo Garner is a mortgage officer with extensive knowledge in tailoring mortgages to her customers who are refinancing or purchasing homes all over the country. She offers conventional, FHA, VA or other loan programs for refinancing and purchases. Jo can help you look at rent vs buy, when it makes sense to refinance, how to get the best deal on your home purchase financing. Jo Garner has been in the real estate/financing business for over 20 years. She got her start in Portland, Maine where she first began her real estate career. She received her real estate education from the University of Southern Maine and was personally mentored in San Diego, California by Robert G. Allen, author of Nothing Down, Creating Wealth and The Challenge. On moving back to West Tennessee in 1987, she went into business buying and selling discounted owner-financed notes secured on real estate. In 1990 Jo went to work for a residential mortgage company and has been a mortgage loan officer for over 20 years. Her goal is to offer excellent, affordable service to her customers, tailoring the loan programs to the specific needs of her clients. In addition to her work in the mortgage field, Jo Garner is the primary sponsor and founder of Talk Shoppe in Memphis. 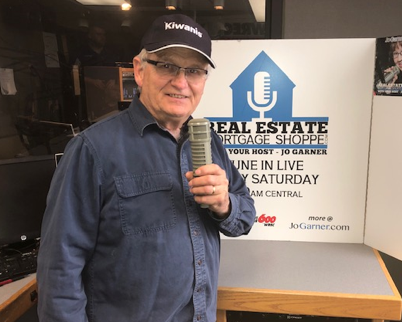 www.TalkShoppe.com Jo Garner also host the radio show Real Estate Mortgage Shoppe airing on News Radio AM 600 WREC and iHeart Radio with podcasts and show notes published on www.JoGarner.com.